NEW! Available in both rear caster or mag wheel configurations in up to 24" seat width and 350 lb. weight capacity, the Synthesis Transport Chair (Model V4 WC-19) meets the WC-19 Full Compliance standards. The Synthesis Transport Chair allows for safe occupant transport in an accessible vehicle with the ability to keep the individual in the same chair for care and transport. The amount of transfers is reduced increasing the overall comfort and safety for both the individual and the caregiver. 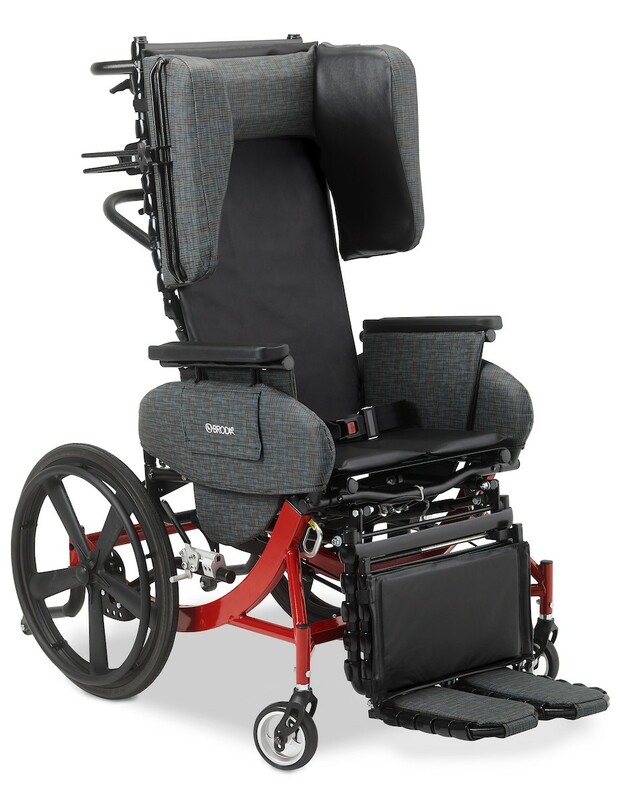 Featuring up to 40° of infinitely adjustable seat tilt and up to 90° of infinitely adjustable back recline, as well as Trendelenburg positioning, the provides safe and comfortable positioning without the use of restraints. Our front pivot seat tilt helps maintain patient’s line of vision while tilted to allow for socializing, helping improve quality of life.